Thanks… I experience the same synchronicity at times. I was just rethinking my hubbies Metz prostate cancer supplements when I saw your posting. Thank you Scottie for taking the time to read my blog post. May I add you to my email list? 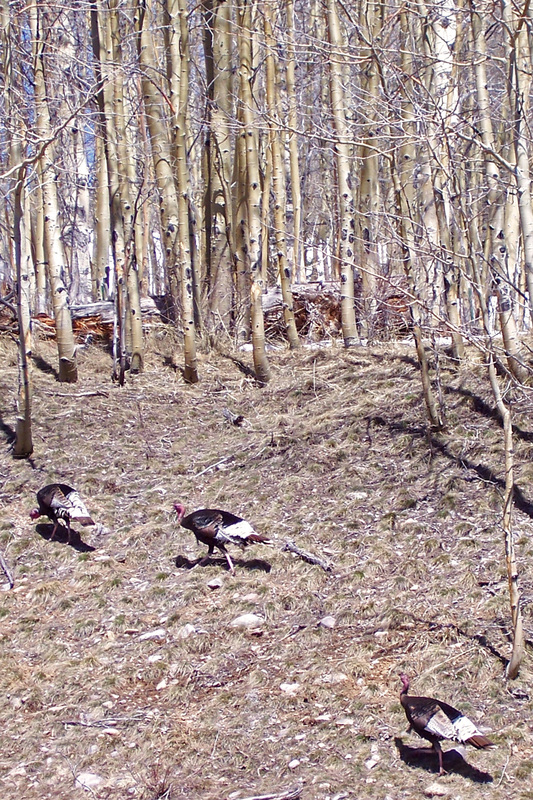 I send out a quarterly ezine called “Hoof Tracks ~ on the Trail with Dr. Deer.” Be sure to subscribe to this Blog for updates to articles like this one. 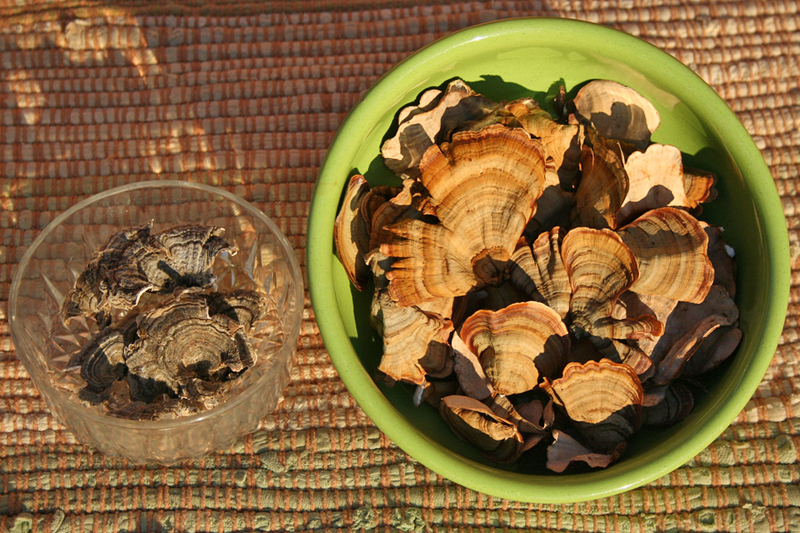 I neglected to mention the difference between Turkey Tail and False Turkey Tail. One of my favorite herbalists, Juliet Blankespoor called this to my attention. Like the “true” Turkey Tail, Stereum ostrea has a colorful, somewhat fuzzy cap that displays zones of brown, red, orange, buff and green. 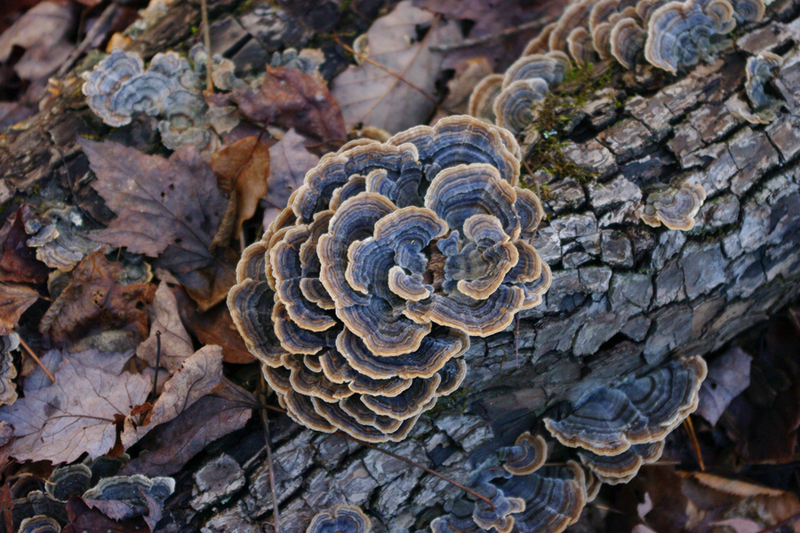 Most of the time it is more orange than the browner Turkey Tail but the tell-tail (pun intended!) 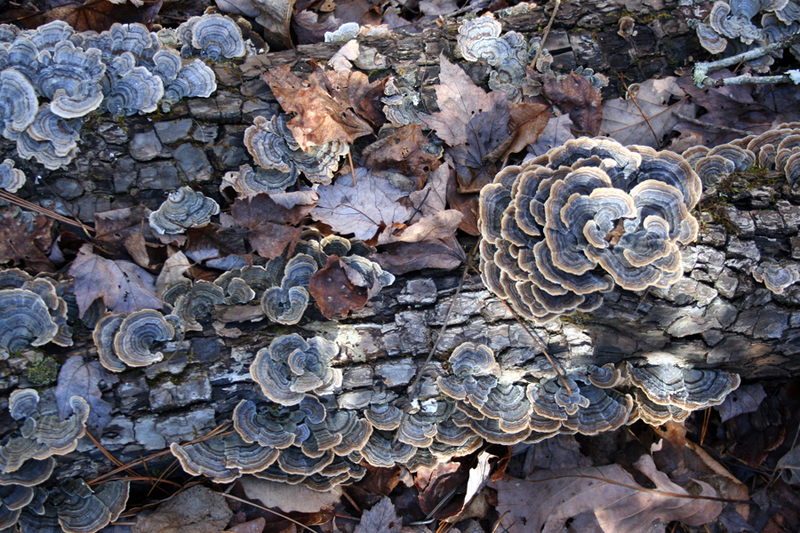 difference is that False Turkey Tail lacks a pore surface and has a smooth underside. It is a crust fungus rather than a polypore. It also tends to be larger as seen in the photograph above and develops individual, funnel shaped fruiting bodies, rather than laterally fused flat ones.